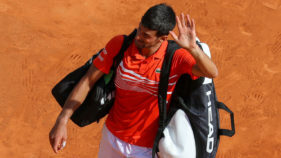 World number one Novak Djokovic raced over to shake hands with tennis legend Pete Sampras after a second-round win over Bjorn Fratangelo at Indian Wells. 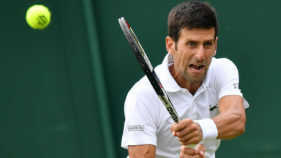 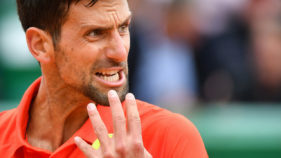 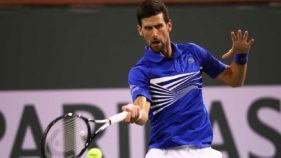 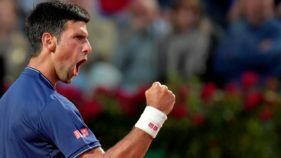 Novak Djokovic shook off some rust and US qualifier Bjorn Fratangelo Saturday, opening his ATP Indian Wells Masters campaign with a 7-6 (7/5), 6-2 victory. 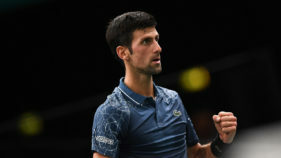 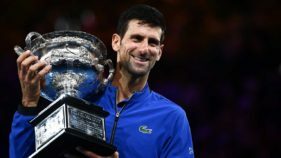 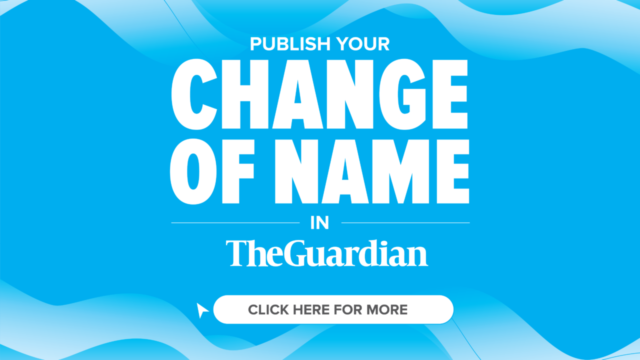 Novak Djokovic defeated Lucas Pouille of France 6-0, 2-2, 6-2 in continuation of his easy path to a possible seventh title at the Australian Open in Melbourne.